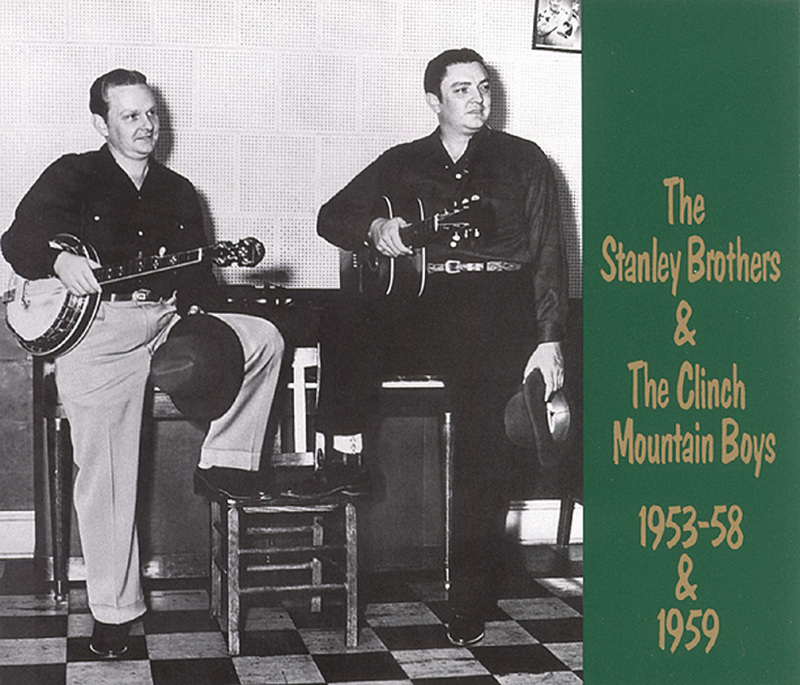 The Stanley Brothers are among the least likely candidates to try to rock. If Carter and Ralph Stanley appear here, can Pavarotti be far behind? The back story to this track is not clear. It's likely the recording took place sometime between the spring and summer of 1960, when this song by Hank Ballard and the Midnighters began a run on the 'Billboard Best Seller'list that lasted for half a year. The song was hugely popular. It likely would have been known to the Stanley Brothers without any help from King label boss Syd Nathan. Nathan might have helped since he was fond of sharing copyrights between his artists, moving hits across genre lines. Hank Ballard and the Midnighters were King artists as were the Stanley Brothers and so it could have come to pass that the Stanleys took a shot at this, perhaps as a joke at the tail end of their session. It's hard to rule it out. 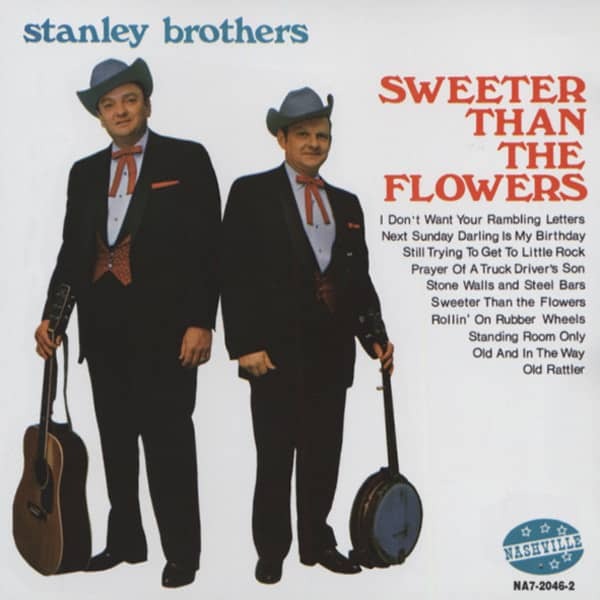 We do know that the undubbed master of this song features Carter and Ralph Stanley singing with banjo, bass and acoustic guitar. The timing is ragged and it sounds quite demo-ish. The released version, which we have chosen here, features the addition of echoey finger snaps that provide a more commercial product and nudge the performance more decidedly in the direction of rock 'n' roll. We don't know whose fingers were doing the snapping (one story on the web has James Brown doing it. It might just as easily have been Carter or Ralph, themselves). In any case, this track goes to show that even a 'pure' bluegrass act can be edged in the direction of rock 'n' roll. The distance is often shorter than you think. Kundenbewertungen für "Sweeter The Flowers"